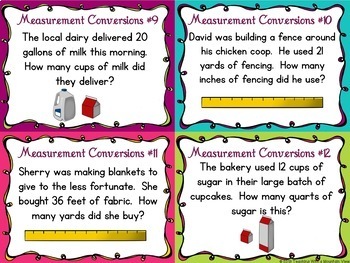 A set of 36 task cards to support CCS 5.MD.1 and perfect differentiation for CCS 4.MD.1 and review for other grade levels. 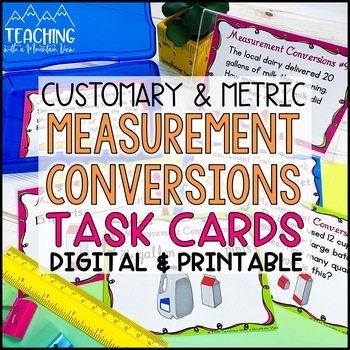 If you don’t want your students to do all 36, you can intersperse the metric with the customary (i.e. 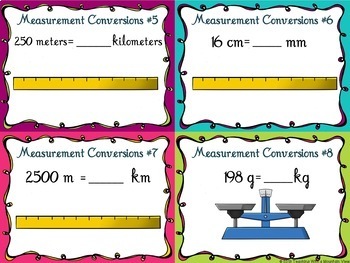 swap out card customary card 2 with metric card 2) There are two different answers keys depending on how you want to use the cards. *Answer Key & 2 Different Recording Sheets included. 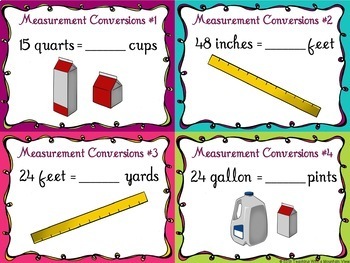 You can also purchase this set of task cards in my HUGE BUNDLE of Geometry & Measurement Task Cards!